End Of Year Party: Midnight Dreams & Realest Sound Ent. Close out 2018 with a night of good vibes, high energy, and hidden musical gems! 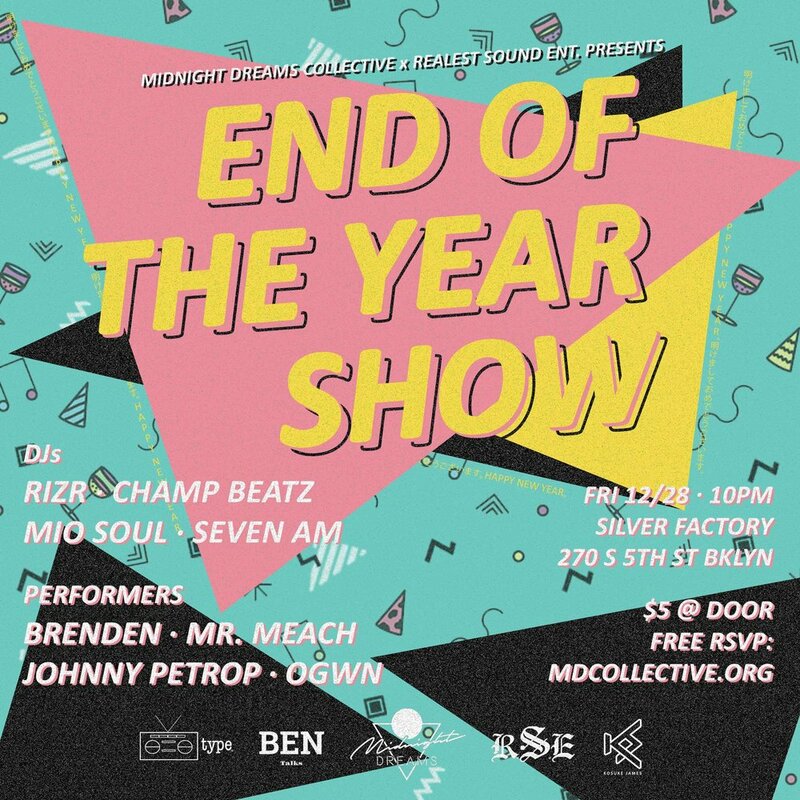 Fresh sounds by Midnight Dreams Collective DJ’s, RIZR, Champ Beatz, Mio Soul, and Seven AM delivering an overflow of multi-genre tunes ranging from your favorite throwback R&B/ Hip-Hop joints, originals/ remixes, and hard hitting Trap, Latin, Baile, Future Beats & more! Special guest performances by Brenden, Johnny Petrop, Mr. Meach and OGWN.